Sarah Nader- snader@shawmedia.com Harvard graduate Lexus Lemus during the Harvard High School commencement ceremony Monday, June 8, 2015. 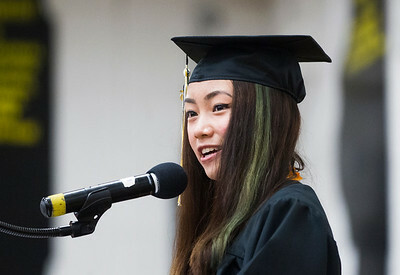 Sarah Nader- snader@shawmedia.com Harvard valedictorian Marley Smith addresses for classmates during the Harvard High School commencement ceremony Monday, June 8, 2015. 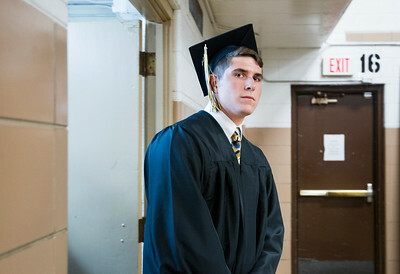 Sarah Nader- snader@shawmedia.com Harvard graduate Lewis Bochette walks to his seat during the Harvard High School commencement ceremony Monday, June 8, 2015. 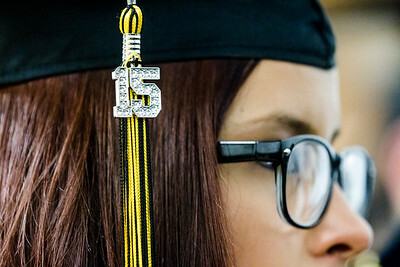 Sarah Nader- snader@shawmedia.com Harvard graduate Yadira Aguayo walks to her seat during the Harvard High School commencement ceremony Monday, June 8, 2015. After high school Aguayo plans to study education at Northern University. Sarah Nader- snader@shawmedia.com Harvard graduate Jianxiong Chen, 17, waits with her classmates before the Harvard High School commencement ceremony Monday, June 8, 2015. Sarah Nader- snader@shawmedia.com Harvard graduate Jaciani Sehn (center) waits with her classmates the Harvard High School commencement ceremony Monday, June 8, 2015. 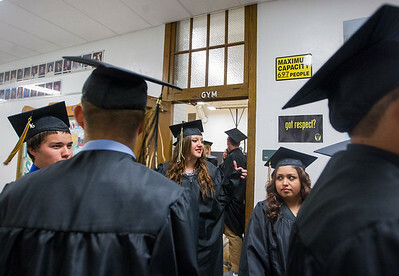 Sarah Nader- snader@shawmedia.com Harvard graduate Natalia Gonzalez waits with her classmates before the Harvard High School commencement ceremony Monday, June 8, 2015. 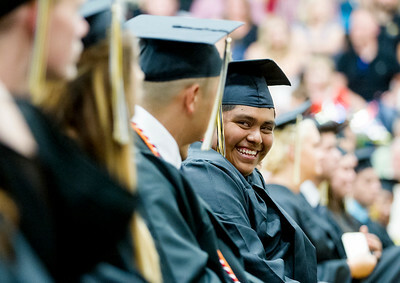 After high school Gonzalez plans to study special education at McHenry County College. Sarah Nader- snader@shawmedia.com Harvard graduate Felipe Esquivel talks with a friend during the Harvard High School commencement ceremony Monday, June 8, 2015. Harvard graduate Lexus Lemus during the Harvard High School commencement ceremony Monday, June 8, 2015.